Coranderrk is a mint bush. The leaves were used by the Wurundjeri as food flavouring and for medicinal purposes. Coranderrk was important for fire-making. A stalk was twirled rapidly between the palms while pressing down against the flattened flower-stalk of a grass tree. The smouldering ash created by the friction trickled down onto a ball of tinder which, when blown on, ignited into flame. Women transported fire between campsites by inserting small hot coals into a Bracket fungus (Laetiporus portentosus) – its thickness made the coals cool enough to carry. Aboriginal people requested the name ‘Coranderrk’ for the Aboriginal Reserve at Healesville, where this shrub grew profusely between Badger Creek and the Watts River. Description: The name Coranderrk was the Yarra Aboriginal’s name for the Victorian Christmas Bush (Prostanthera lasianthos). In Victoria, Coranderrk flowers in late spring /early summer-around Christmas time. It is found growing near creeks. The flowers are approx. 2cm long white or pale lilac. The leaves are fragrant and minty. Fire. Coranderrk was used in the making of fire. A wand of Coranderrk (stalk) was twirled rapidly between the palms while pressing down hard against a flattened, dried grass tree flower stalk. The smouldering ash created by this friction was allowed to trickle into a ball of dried tinder which when blown into burst into flames. Fire was transported by the women from one campsite to another by placing a few small live coals in a bracket Fungus (lactipotus portentous). The thickness of the fungus made it cool to touch on the outside. Cooking was achieved by roasting over a fire, by placing the game on hot stones and covering it with bark and green bushes and hot ashes, a form of steaming. Roots, tubers, rhizomes and fruits were cooked in baskets which were wet and placed on hot stones and covered with bushes. Aboriginal people requested the name Coranderrk for the most successful Aboriginal Reserve in Victoria. The plant grew in profusion in this area between Badger’s Creek and Watt’s River Healesville (Wurundjeri country) and seemed a suitable name. This reserve was also home to Aboriginal people who were brought to Coranderrk from the Acheron Station on the Goldburn River. As a result of this some residents of Coranderrk because of their Goldburn background called Coranderrk Geringdah-the Goldburn Aboriginal name for this bush. Successful lobbying resulted in the initial government allocation of 2,300 acres at this site. Finally, a home had been created for the surviving indigenous people of Melbourne and its surrounds. From 1863 to its forced closure in 1924 Coranderrk was a thriving village – a successful Aboriginal enterprise selling wheat, award-winning hops and crafts to the growing market of Melbourne. William Barak also walked to Melbourne an many occasions to petition the Governor to allow his people to live on Coranderrk. He died in 1903. Coranderrk ( 1863 – 1924 ) was the last of the Aboriginal Reserves in the Yarra Valley. But even this haven came under attack. Laws were made which made the people’s lives more difficult. The government began to move children who they did not regard as fully Aboriginal off the reserve. Just think how it would be if someone came and told you that you could no longer live with your family, but must live somewhere else! Finally the ‘Board for the Protection of Aborigines’ decided to close Coranderrk, and most of the people were trucked away to Lake Tyers in Gippsland – far away from their own ancient land. A few families remained in this area and are still here today. 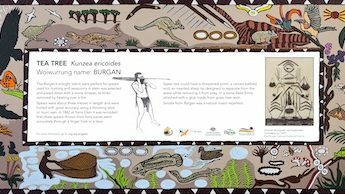 Murrundindi, of the Hunter family, is descended from the early leader Bebejern (father of William Barak). He is the current leader of the Wurundjeri people – he’s known as the Ngurungaeta. Other present-day Wurundjeri Elders such as Margaret Gardiner, Joy Murphy-Wandin, her sister Doreen Garvey-Wandin and their families, and the Nicholson families are also related to William Barak. 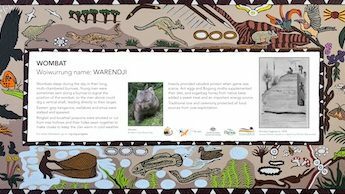 The Annual Walk to Corranderk goes from Healesville to the remaining four acres of the Reserve still owned and lived on by Wurundjeri family members. 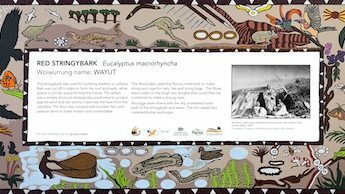 The Walk commemorates the trek made by Wurundjeri elders William Barak, Simon Wonga and others during early 1863 as they searched for a permanent home for their people. The group of 40 travelled across The Great Divide, from the Acheron to the Watts River, selecting land at the junction of the Yarra River and Coranderrk Creek, now Badger Creek – close to the eventual location of Healesville. The walk acknowledges the quest to find land on which to live peacefully and productively. For Healesville descendants of original inhabitants, walking home to Coranderrk symbolises their people’s journey as they searched for a home. Now, the walk also represents the journey into the future as Coranderrk is to be restored as a living place of belonging where everyone will be welcome: indigenous and non-indigenous. This re-enactment of part of the 1863 walk invites us all to reflect on history and to show our commitment to the strengthening of unity between all Victorians.